The dust has settled, the details are (mostly) out there, and now we finally know the release and price information surrounding the final of the three major pieces of Virtual Reality technology releasing this year. 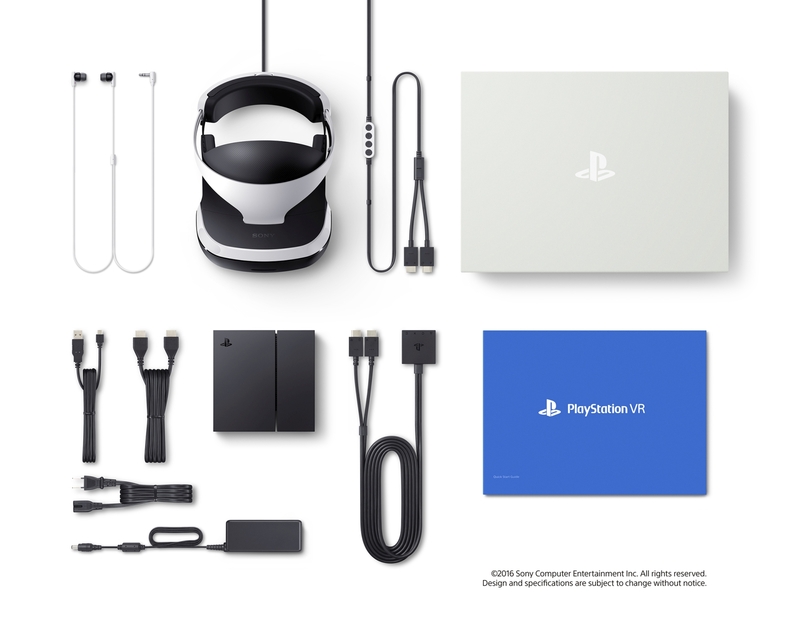 PlayStation VR will release sometime this October, worldwide, at the starting price of $399, €399, or £349, and that’s just the PSVR hardware, which includes any necessary cables and the breakout box to connect the hardware to your PS4. Keep in mind some games will require the PlayStation Eye camera, as well as one or multiple PS Move controllers, so if you don’t have them, you’ll have to pick them up piecemeal or wait for more info about the bundle that will include them. So does this price point work? Absolutely. I think so. If we look at the other pieces of VR, Oculus and HTC’s Vive, we have a $600-800 price range which doesn’t include the external hardware required to run that device. Here, we have a $400 minimum entry, and of course the $350 external hardware (the PS4) required to run the headset. No matter which way you compare it, outside of the cordless VR solutions like Gear VR or Google Cardboard and having a smartphone, PSVR is still the lowest barrier to entry for someone to get that virtual reality experience. Is it worth it though? I mean, that’s the more difficult question. I have been lucky enough to use both Oculus (Developer Kit 1) and PlayStation VR, both of which I really enjoyed, and I liked what PSVR was doing far more than that initial Oculus kit. To be fair, we’re far past where that Oculus kit was, technology wise, but my point stands that even compared to the PC-powered big boys, PSVR seems really viable as a great experience. Having used this technology, I am a VR believer. And it’s really easy to dismiss that from the outside, because there is a sense of it that you just can’t begin to understand by reading or hearing about it, which I know isn’t very useful, and sounds a bit pretentious at that, but is true. Sensing that depth, being able to move your head around and see something that expands out past your peripheral, is a sensation that is unreal. With the quality of the visual displayed to you, it’s alarmingly believable, even when what you see may be surreal or cartoonish in nature. 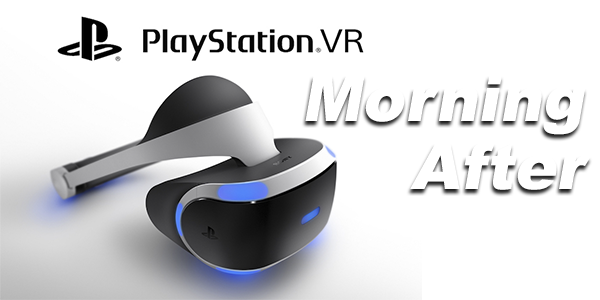 It’s worth noting, speaking of visual quality, that the PSVR will have an OLED screen, which is a great choice. It’s the same kind of screen the original Vita had, and it’s still serves as the sharpest quality in color and blacks on digital screens that I’ve seen. The ‘worth-it’ factor of the experience is something that hopefully more people can judge for themselves when this is at kiosks in malls, Best Buys, and Walmarts all over the country. It is one of those things you need to experience. Beyond that, games are a much more worrisome idea. You can play any PS4 game with PSVR, in a sort of virtual movie theatre like experience, which is actually kind of exciting. Having seen Uncharted 3 played in a movie theatre, I’d totally love to simulate that at home. This also presents a crazy idea that TVs could be considered obsolete for playing video games, because who would ever want to use their TV when they could sit in a virtual movie theatre with an OLED screen. The launch line up hasn’t necessarily been confirmed, but Sony is talking a big game with a great list of developers working on projects for the device, as well as saying somewhere around 50 games will be available on the platform before the end of the year. Of the wide spectrum from excitement to apathy I’ve seen about PSVR, I definitely agree with the sentiment that there is still no one game that sells the experience. I played Battlezone, which I believe is still just a tech demo, back when I was at PSX, and I had a great time. But Outside of the five minute arena-tank-battle experience I had with it, I don’t know what else that game is. There’s potential there, but that always seems to be the beginning and end of all sentences about VR, “there’s potential”. But I’m trying not to be too cynical. I’m excited. I can’t wait to have one in my house and know what that experience is like. For now I’ll remain hesitantly excited and we’ll hold out for more details, and a specific launch line up, in the near future.